The head office of the Peresvet bank in Moscow has been closed. The head office of the Peresvet bank in Moscow has been closed, a TASS correspondent reported. A note on the door of the office informs about the moratorium that has been introduced in compliance with the law on bankruptcy. The moratorium spreads on the bank’s liabilities and duties, the bank had before the temporary administration was appointed. Also the Central Bank closed the bank’s only office in St. Petersburg. On Oct. 20, the bank was functioning as usual, but on Oct. 21, the Central Bank announced that a temporary administration has been appointed in the bank. Earlier it was reported that the regulator is holding consultations with the shareholders and creditors of the Peresvet bank to clarify the situation with the future of the credit institution. On Oct. 18, the Peresvet bank that has been historically linked with the Moscow Patriarchate, introduced the limit of 100,000 rubles ($1,601) on allocation of funds to its clients. Later the bank admitted that it had difficulties with liquidity but restrictions for the provision of cash will soon be removed. On Oct. 20, the Peresvet bank failed to place bonds worth 2 billion rubles ($32 million). The placement of bonds was made on Oct. 14-19 but investors did not acquire any single bond. The Peresvet bank was registered on Oct. 13, 1992. 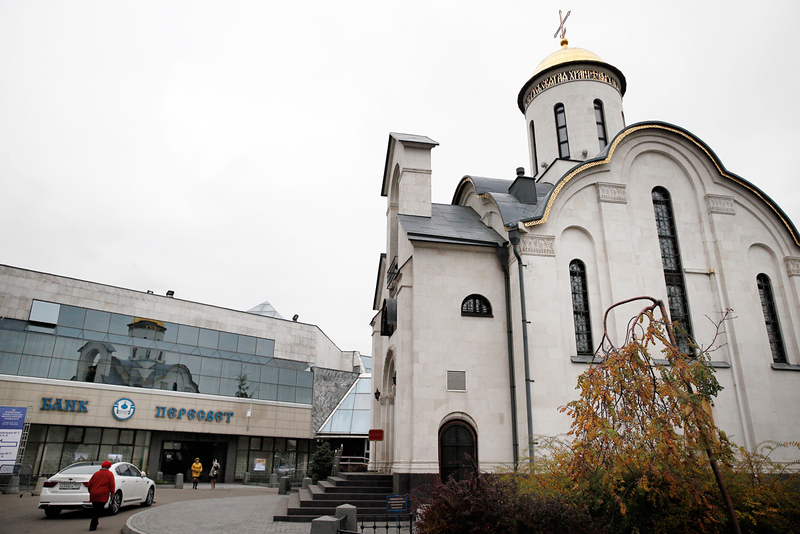 The Moscow Patriarchate holds about 36 percent of the bank’s shares. OOO Sodiestvie holds 13 percent and Expocenter owns 24 percent. The bank is a member of the deposit insurance system. In terms of assets the Peresvet Bank ranks 59th the Russian banking system.